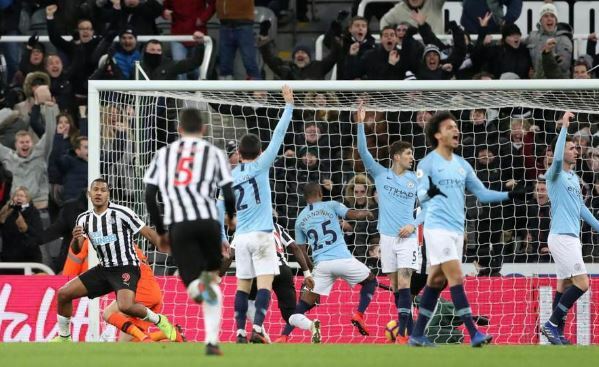 Manchester City manager, Pep Guardiola has disclosed why his side were defeated 2-1 by Newcastle United on Tuesday night in the Premier League encounter. Goals from Salomón Rondón and Matt Ritchie gave Rafael Benítez’s men all three points against Man City. However, a goal from Sergio Agüero was not enough to hand Guardiola’s men a point against the hosts. Guardiola said Manchester City were defeated by Newcastle United because his players “were not aggressive enough”. “Seven points is a lot of points,” Guardiola was quoted by Irish Times as saying at post-match. “I know how my players are feeling right now and I am close to them and by them. “Sometimes things go your way and sometimes they don’t – we had just won eight games in a row and scored 30 goals without reply but sometimes things don’t go your way.